that the concept aligned with Luxottica’s values. 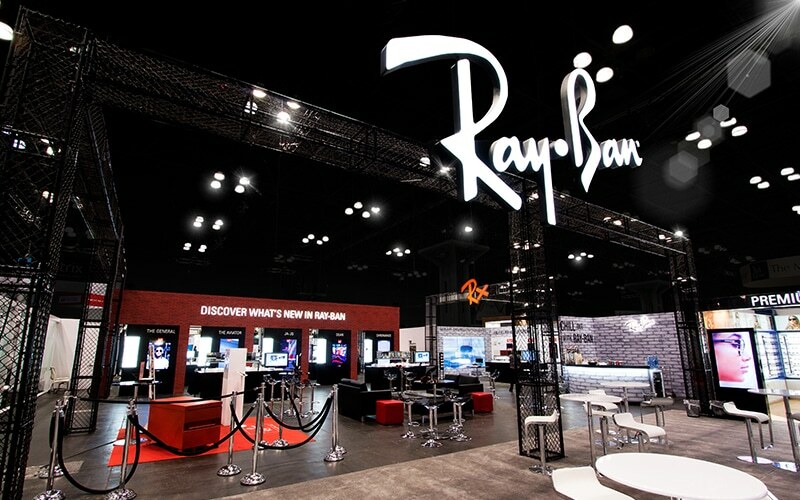 We introduced interactive experiential stations, such as an eyewear manufacture station, where attendees could watch craftsmen build eyepieces in real time. Luxottica’s trade show activations have been a hit and are widely talked about at both Vision Expo East and West. Multiple branded sections and experiences all coexist underneath a united environment that is unmistakably Luxottica. 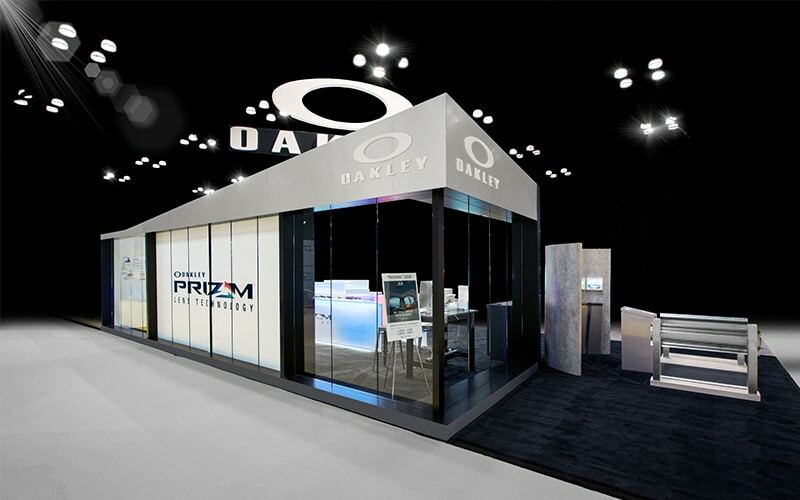 Since the initial exhibit design in 2014, close collaboration, resourcefulness, and partnership have driven this client’s trade show success.